Els Pescadors restaurant, on a pretty and un-city-like square in Poblenou, serves some of the best rice and fish dishes in Barcelona. The centre of the Barcelona neighbourhood of Poblenou never fails to charm. It still feels like a place where people live, not just visit. Stroll up from the sea along its main boulevard, the Rambla del Poblenou, and you’ll see life lived at a pleasant pace, with old theatres, centenarian ice-cream parlours and restaurants tumbling out onto terraces. Turn off the boulevard at its sea end and you’ll enter a maze of narrow, cobbled, pedestrian-only streets. Navigate them correctly and you’ll reach Plaça del Prim – and Els Pescadors restaurant. Plaça del Prim doesn’t feel like it belongs in a city. Sit here under the shade of one of the square’s gnarled ombú trees and, if you can ignore one or two of the ugly buildings that blight the view, it’s easy to imagine you’re in a village somewhere. That’s probably because a village is what this area used to be, before it was absorbed into the growing metropolis. The prettiest side of the square is occupied by Els Pescadors (‘the fishermen’). Originally a tavern for fishermen, its fortunes have risen and fallen along with those of the neighbourhood around it. It’s been a factory-workers’ eatery, a meeting place for revolutionary youths and, for the last few decades, an upmarket restaurant. Els Pescadors does rice and seafood. It does more, but rice is what really brings people here. It’s outgrown the original tavern and now covers three dining rooms. The oldest room still has a small bar and keeps some period details, such as ceiling fans and cast-iron radiators, plus authentically creaky wooden chairs. The new rooms are slickly modern and minimalist. Top spot is on the terrace outside, but it was a little too chilly for al fresco dining on the March evening when I visited. There’s no tasting menu here. It’s a reassuringly solid three-course place, with something to appeal to everyone. That’s probably why it’s so popular with local business people who want to bring clients to try traditional Catalan cooking, and with mixed groups of work colleagues. I overheard a passionate and highly technical discussion about the finer points of jamón bellota, which even drew the chef out of the kitchen to add his opinion. It appeals to those who are willing and able to pay for top quality, and Els Pescadors doesn’t scrimp on the shrimp. Starters are around €14, mains in the €20-35 range. Expect a total bill per person of €50-60. Very patriotic organic calçots (green onions) came in the form of the Catalan flag (€13.20). This was novel and attractive, and a more restaurant-appropriate way to eat them than the usual, fun-but-messy method of dipping them in sauce and into one’s gaping maw. The ‘bomba’ fishermen’s rice (€27.50) had some work to do to live up to its price tag. It succeeded. The first-rate Valencian rice was cooked with just the right amount of starchy bite. Three different fish, direct from local fish auctions, graced the grains; the turbot, especially, seemed to have leapt from the sea onto the plate. It’s as good a rice dish as I’ve ever eaten. A bread ‘airbag’ of organic Valrhona chocolate and olive oil (€6.50) put a simple but effective twist on the traditional Catalan flavour combination, with a dollop of deliciously rich ice-cream that threatened to steal the show. Els Pescadors has survived and thrived for so long because it is reliably good. Its dishes do add touches of modernity to traditional flavours but not so much as to scare away more conservative diners. This is crowd-pleasing cooking – as popular with groups as it is with couples looking for somewhere to go on a special occasion. The service is polite, although the smiling bonhomie sometimes feels a little forced (you may be very subtly encouraged to eat up and make your table available quickly at busy times). That’s not a criticism that should deter you from visiting; the staff when I was there were never less than completely professional. Prices aren’t low but they’re comparable with restaurants of a similar quality. And the food is a treat; the rice is as good as anywhere in Barcelona. Add a lovely terrace on a square where children could safely play and you have a restaurant that I can unhesitatingly recommend. 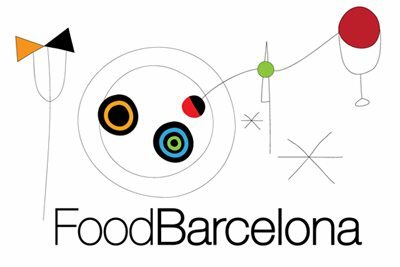 Check out other Barcelona restaurants on the FoodBarcelona map. Discover more Barcelona restaurants near you in the by-neighbourhood guide. I’m a big fan of eating out in Poblenou and Els Pescadors is now on my list of places to visit.